Step 1 Blow-dry hair with a large round brush. Step 2 Create a triangle (back) section, starting at the crown and going down to the tip of each ear. Clip away the top sections. 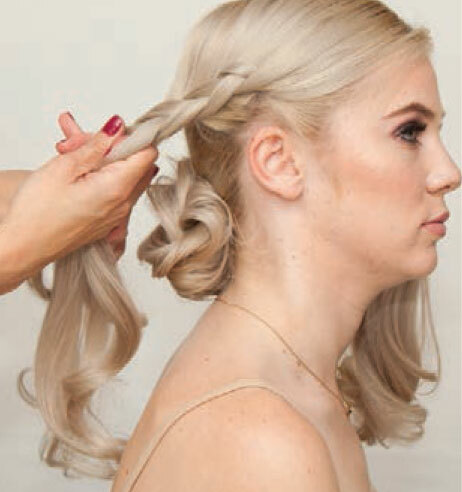 Step 3 Create and secure a low ponytail and split the hair into two equal sections. Twist the two sections as you wrap them around each other to form a rope braid. Use fave4 texture takeover hairspray to add some bulk to your rope braid. 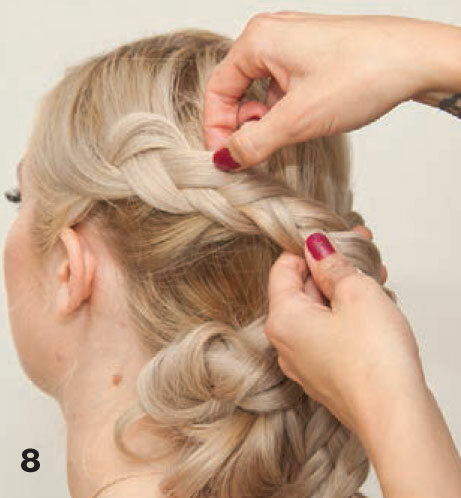 Step 4 Create a low bun by wrapping the rope braid around the elastic band. Secure with bobby pins. Step 5 Starting on either side of the head, create a Dutch braid (reverse French braid) from the top of the parting down to the hairline at the ear. 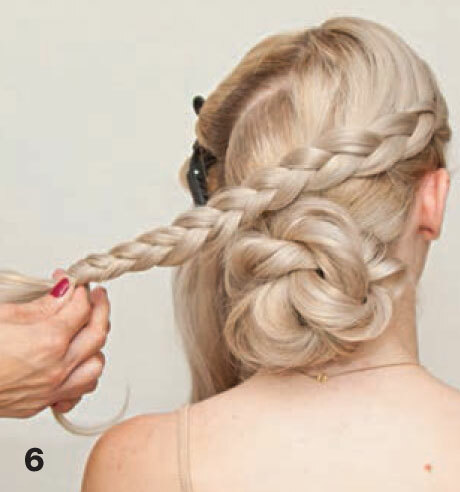 Direct the braid toward the back of the head. 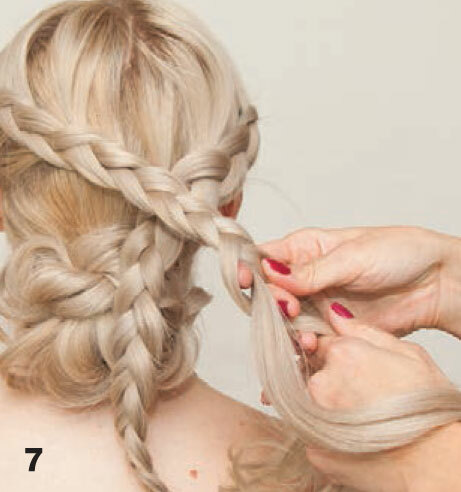 Step 6 When there's no more hair to incorporate into the Dutch braid, continue to do a normal three-strand braid. Secure the end with an elastic band. Step 7 Repeat Steps 5 and 6 on the opposite side of the head. Drape the braids over each other as shown. Step 8 Gently tug on each revolution of the braid to flatten the shape. 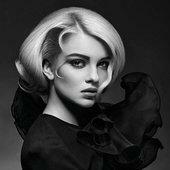 Use texture takeover hairspray to create more defined results. Step 9 Tuck the ends of the rope braids inside the bun and pin into place. 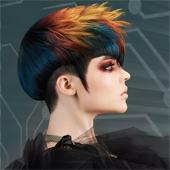 Finish the style by using fave4 style stay hair spray.